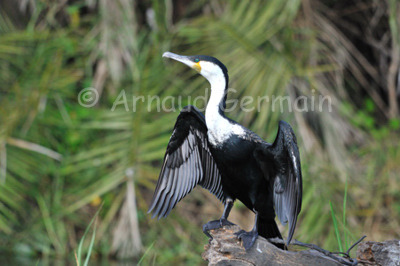 I photographed this white breasted cormorant drying itself on the banks of the Shire river, in Liwonde National Park, Malawi. At Mvuu camp, one of the most popular activity is to go on a boat safari where you can admire the diversity of the birds. There is one very large colony of cormorants around the camp.